Research fields: marketing, innovation research, future insight etc. 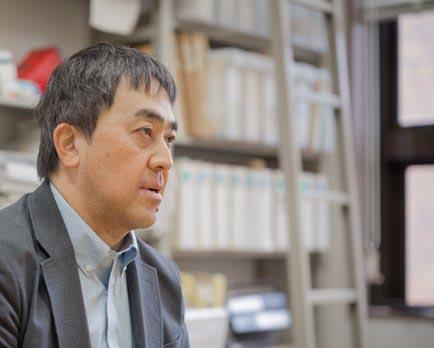 Professor Yuichi Washida has been conducting research on foresight in the HITE program, using "Future Scenario". With information technology developing at a breakneck speed, we are now in need of a new foresight method. We asked him about the possibility and significance of Future Scenario, to prepare for unforeseen future events. 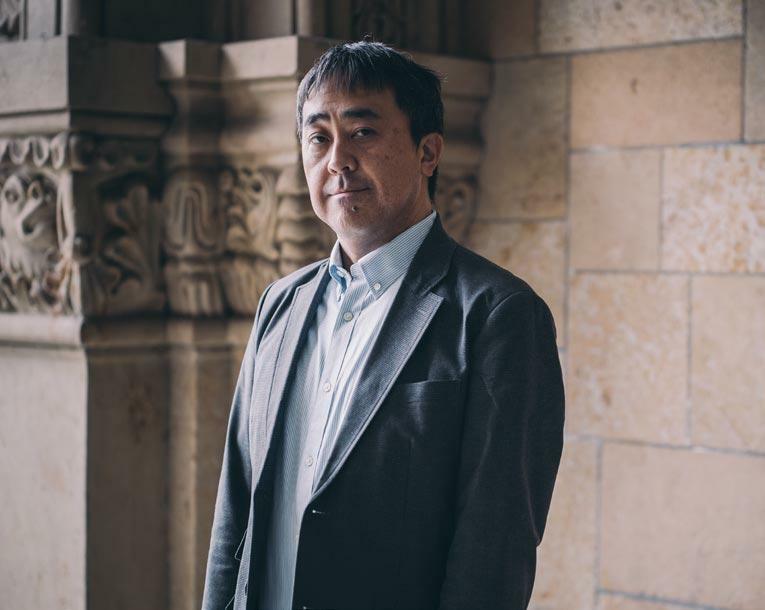 In your research, it is noted that using "Future Scenario" as a thinking method is effective for unpredictable futures with issues such as coexistence between AI and human beings. When we look back at cases of decision-making that have been made by the government and businesses in the past 30 years, we see a common factor lying behind their mistakes. To give you a few examples of unexpected future events that Japan has experienced in the past 30 years, there were the developments of the "Personal telecommunications device" and "Fifth generation computers". In 1991, the "2010 Technology Prediction Study Group" in the General Planning Bureau of the then Economy Planning Agency had estimated the market size of national personal telecommunications devices in the year 2010 to be around 500 billion yen. However, the actual market size had already reached over 2 trillion yen by the year 2005, more than five times the government prediction. This is one example of an upturned version of an unexpected case. On the other hand, the fifth generation computer development was a downturned version of an unforeseen case. In 1982, the then Ministry of International Trade and Industry (present Ministry of Economy, Trade and Industry) launched a national project to develop the fifth generation computer, announcing that "Japan will aim to develop a pioneering computer equipped with AI". However, just a decade later, the project closed with scarce results. The capital invested for this reckless goal amounted to 57 billion yen. Why were these schemes predicted erroneously? It may be because, since the time of the rapid growth period in Japan, the Japanese government and businesses have always been making future predictions based only on technological perspectives. Future scenario making, in which interactive workshops are the key to work integration through its process, not only the technological perspectives, but also various other perspectives such as the cultural background of people, social conditions such as population composition, and changes in the natural environment is being adopted. By venturing to actively discuss more uncertain themes such as politics and cultures, I think that we can propose materials for alternative decision-making, which will not arise from simple linear predictions made only from a technological development basis. What process do the Future Scenario workshops take? In the "First Foresight Workshop" held by the RISTEX HITE project, we made a future scenario themed for propagation of future AI and IoT. The participants were leaders and well informed persons mainly in marketing fields, and the workshop lasted two days. On the first day, "social change hypotheses" were built, which are scenario generations of social changes that may arise in 10 to 20 years, using the method called "Horizon Scanning". First, we prepared a database, the "scanning materials", that could be the signs of future changes. The participants discussed in depth using the database, picturing what kind of society we will see in the future. 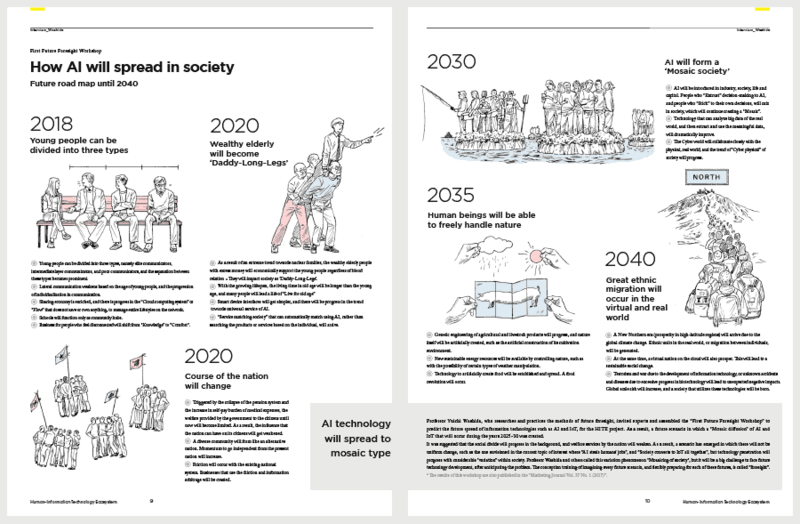 (The following page shows the "Chronological Table of the Future" of the designed social change hypotheses.) On the second day, we considered the problems that may arise after AI and IoT have propagated, naming them "Future Issues". In this workshop we came up with issues such as discords and bipolarization arising from the mixture of automatic driving vehicles and current cars in society. Then we further discussed the social change hypothesis and future issues given on the second day, and completed the "Future Scenario". Please tell us of any particular interesting cases of Future Scenario in your extensive experience with future scenario studies. In 2002, we held a Foresight Workshop to design the "Future vision of Akihabara in the year 2008" with KDDI. Looking back at that time, it is interesting to note that the idea of the "Eyeglass type mobile phone" came up in that workshop. Wearable devices using a location information system were already thought of, and privacy issues that would accompany it were also discussed. About a decade or so later, the "Google Glass" was launched, using the same kind of system, but the developers could not solve the personal data issues either. They soon gave up on releasing the product to the public and narrowed it to B to B uses only. This was an informative case of future prediction. With the rapid growth of information technology such as AI, we will be facing more and more unpredictable futures. What is your idea of the things we can do with the use of Foresight? By holding many workshops, we came to understand that there is a certain common pattern in the future change hypothesis. It is that after the year 2025, society will change directions, from optimism to pessimism. The same hypothesis arises in different groups and different themes. This shows that many people think that "In 2025, we will face an unforeseen event". We call it the "2025 Problem ". We have held a Foresight Workshop in this "Human Information Ecosystem Project" and verified the hypothesis with the theme "Would the same kind of 2025 problem also arise in AI and IoT?" A brand new hypothesis came up. It is that, when society continues evolving, a collapse will occur at some point. We have named this phenomenon "Mosaicing society". What we mean by "Mosaicing" is that society will be like a mosaic with a mixture of AI implemented advanced areas and conventional areas. Society will not be visualized with a simple future prediction, as people today often question, "Will AI deprive humans of jobs? Will AI rule over us?" Businesses and developers tend to picture an idealistic advancement of technology in simple linear growth, and they do not foresee this mosaicing propagation pattern. I think that Future Scenario can fill in the gaps. How will the Future Scenario contribute to the future of Japan? Future Scenario can provide us with "Preparation" for unpredictable situations in society if we use it appropriately. Especially for businesses involved in information technology, I think it will be an effective method to consider how information technology such as AI and IoT will spread into society. In a conventional style, when people carry out a business plan, they tend to "conduct research, and then discover a trend from the current technological trend". However, much of information technology is consumer electronics based, in other words, it is a technology that is very close to consumers. Information technology such as the typical smartphones has "Network Externality" (the effect that an increase of service users enhances the value of the service itself). It means that it can become a peerless product in a very short period of time. In other words, the first mover advantage is so large that any business that enters will become a "front runner". I am sure you know that many of those new services happen to come from the U.S.
With information technologies that have such a property, we have to be prepared for　various futures that may unfold from all kinds of situations. I think that Future Scenario is an effective thinking method under such circumstances.